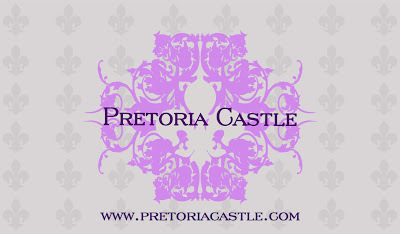 As promised, I am thrilled to share the final designs for Pretoria Castle's new business cards! 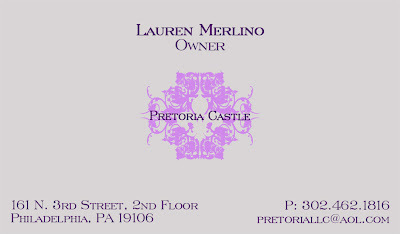 For their business card design I decided to go for a simple, elegant appeal using muted tones of light gray for the background of the design and their signature deep violet and soft lilac tones for the text and their logo design. 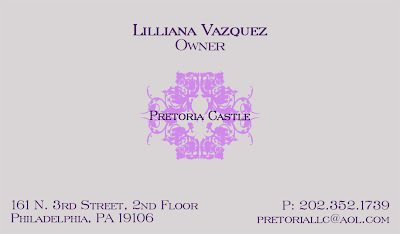 My favorite part of these designs is the subtle fleur di lis graphics that I included in the background design on the back of the card. I'm absolutely thrilled with the final results!